A recipe plugin can do way more than give you a pretty layout or print option. It can dramatically help your SEO and get your recipe featured on Google, including Voice Search. That’s huge for foodie bloggers!!!! See which recipe plugin fared the best in my tests for both the SEO schema markup Google now requires, and which plugins have the fastest page load time. Plus, see what each plugin natively outputs to Pinterest. HUGE thank you to Marilyn Lesniak of Marilyn’s Treats for her invaluable expertise and help with all the recipe plugin testing! She has used all of these plugins and knowns their features by heart. READ Marilyn’s post: Best Recipe Plugin Review for Schema for insights into each recipe plugin’s features, plus the pros and cons of using them. Based on Marilyn’s experience, plus the plugins my site audit clients reported using, we decided to test the plugins below. The plugins are listed from best to worst according to our tests and other factors such as support. We chose not to test Ziplist Recipes, as it has not been well supported in the recent past, and may not be supported in the future. NOTE: There is a wide difference in fields available between the different templates each plugin offers, especially between the free and paid versions. So, the schema markup shown for each plugin below is just on the version we tested. Check with the plugin vendor for more info on extended input fields for additional recipe info you can include. The testing site is on an A2 Hosting (aff link) Swift account. The Genesis framework and the Foodie Pro child theme were used. The Scriptless Social Sharing plugin was used to provide share buttons for our Pinterest tests. No special image was input for Pinterest in either the sharing plugin or Yoast SEO. We wanted to see which image was picked up natively. A test Pinterest business account was obtained, and Rich Pins were turned on. Recipe with description, image, all ingredients and steps, and video. Nutrition info was added, if the plugin allowed. All fields available were filled out for each plugin. No local caching plugin or Cloudflare were used to speed up the site. What’s the Big Deal with Recipe Schema Markup? Google wants to feature recipes in both their regular SERPs (Search Engine Results Pages) and in Voice Search. Special schema markup in your recipe plugin can make or break whether your post rises to the top and gets found by more readers. This is a HUGE ground floor opportunity for foodie bloggers to get way more traffic to their site. In early 2018, Google released new guidelines and a list of the schema markup it requires on recipe posts to be eligible for inclusion in Voice Search. Then in May, Google openly called for foodie bloggers to send their recipes to Google Assistant, which is their Voice Search device. Recipe plugin developers quickly scrambled to ensure their plugins met Google’s schema markup standards. Schema markup includes special tags around certain items to give search engines a better idea of what the content is about. Schema markup is a hierarchy, meaning it has a top-down structure. This hierarchy is why schema markup is also referred to as structured data. So, you may have two sets of some schema markup in the post that look similar, but if you read the top-down structure like Google does, it will become clear what top-level schema item each of these properties belongs too. 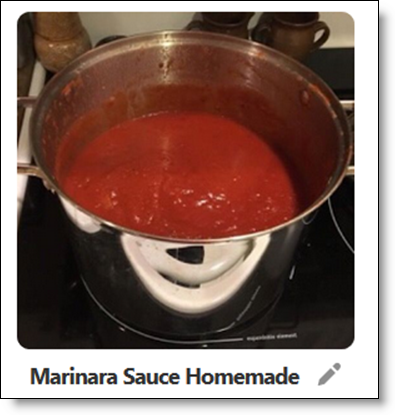 In other words, with the help of the schema hierarchy, Google can tell the difference in a featured or embedded image for the post, and the image that you included in the recipe itself. It’s the same with the Description and datePublished schema markup. You should have one Description, or summary for the post, and then another Description for the recipe. This structure will make better sense if you look at the markup for yourself. Simply grab the link to one of your recipe posts and run it through Google’s Structured Data Testing Tool. On the right, you’ll see sections of all the top-level structured data that Google detected. Click on Recipes to see all of the schema markup tags being output by your plugin. FYI: You may not see all of those other top-level sections on your post. They have to be supported and output by your theme too. That’s just one more reason why I use and recommend the Genesis framework and child themes made for it. NOTHING beats it for outputting great top-down schema markup for all of your content. Below is a full list of the schema markup Google suggests for recipes. NOTE: A minimum of recipeIngredient and recipeInstructions is required for inclusion in Google Home and Google Assistant. TIP: To take advantage of all schema markup possible, you must fill in every field of the recipe plugin. Leaving fields blank will likely result in empty schema markup being output, and Google will flag it as an error or warning. In fact, Google has taken to sending emails via Google Search Console, advising you to check your schema when this happens. Below are the test results for the free version of the WP Recipe Maker plugin. In brief, it provides all of the markup Google wants, and then some. One of the big differences in this plugin and the others is that it has HowToStep markup. It’s a huge SEO bonus, but, it may require you to reformat the instructions of your current recipes, if you switch to this plugin. Be sure to read Marilyn’s post for more. The free version of this plugin does not have a nutrition list available, but the premium version does, and it properly outputs that schema markup (not shown in the list below). The markup is listed in the order it is output by the plugin. NOTE: When the video is removed, Google flags a warning for Video schema. In other words, the plugin outputs empty schema when that field is blank. This plugin also offers a setting to use its template for non-recipe posts, like essential oils and such. If you plan to use it this way, turn on that feature in Settings. Then in the non-food post, select that Type at the top of the Recipe Details tab. It picked up the image in the recipe. No other images were available to chose. The plugin adds 3 requests, and minimum load. The recipe only adds 2 more requests and the speed and page weight are barely impacted. As you can see, embedding a YouTube video is super heavy, and doubles the load time and page weight. However, a video can significantly enhance user enjoyment, and increase good metrics like time on site and YouTube watch time. (No matter where a YouTube video is viewed, it collects watch time metrics.) And, there may be ways to decrease the load of a YouTube video. The WP Recipe Maker plugin is very light weight, even on posts that do not include a recipe. I purchased the Tasty Recipe plugin for these tests. It includes most of the schema markup Google suggests. But, it has no HowToSteps. While Google does not require those, I believe they will at some point, and they make for better structured data overall. This plugin also outputs a warning when no video is present, and knocks out other schema markup when a video is present. We contacted support and, at the time of this writing, those warning are due to the developer not wanting to “cheat” and give estimates on some YouTube data. sugerContent – this, and similar nutrition info below were not available on other free plugins, but are available on some paid versions of those plugins. 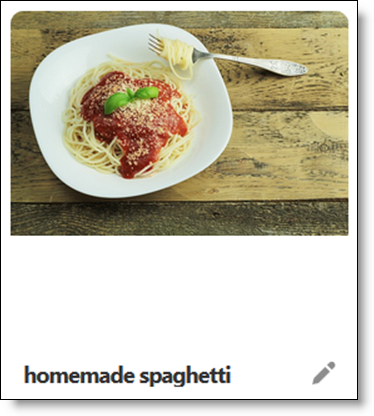 When sharing from the Pinterest button in the recipe, it gives all 3 images as a choice to pin, including the featured and embedded, and then the one in the recipe. It would likely give a choice of all the images in the entire post. The Tasty Recipe plugin is slightly heavier, and adds 2 more requests. It is slightly slower due to the extra requests and extra page weight. The page weight and load time are again doubled with the addition of a YouTube video. NOTE: This plugin will be abandoned in the future, which is the main reason we are not recommending that you start, or continue to use it. See Marilyn’s post for details. One unique difference about the Cookbook plugin is that it supports two types of schema markup – microdata and JSON-LD. The latter is what Google and Pinterest support. This doubles up on any errors/warnings that Google finds to, as it will report both. I could not find any major platforms that require microdata anymore, so not sure why it is included in the plugin. In the Structured Data tests, it gave 4 warnings, but of course, this is a doubling of each. The reason is because several important schema markup properties are missing. You’ll see this listed below what it did output. The plugin picked up featured image from post. I didn’t conduct a speed test on this plugin, as it is not in our recommended list due to lack of future support. The free version of the Easy Recipe plugin did not make the cut for recommending either. It is simply missing too much schema, including one that is required for inclusion in Google Assistant. Plus, some of the schema it does have is non-standard or completely the wrong type. And it doesn’t pick up any of the Rich Pin data. We did not test the paid version. The Structured Data test resulted in 4 Warnings, which you will see below. @id – permalink of post plus extra numbers – what is this? Ingredients – this not the standard recipeIngredient schema but does not give a warning for it, but does give a warning for missing the standard one. The free version of the plugin picked up the same featured image as Cookbook did. The paid version has more image options. The plugin only picked up the description shown above. It did not include any other Rich Pin data, nor any rating or ingredients or such. The plugin is rather heavy and adds noticeable page weight and requests. Due to the page weight, and lack of proper schema markup, we cannot recommend using this plugin at this time. Your recipe post content is just as important as the recipe itself. My site audit clients are enjoying way faster sites, which results in more visitors seeing their ads, which doubles, triples, and even quadruples their income. If you’re trying to get more eyeballs and make money with recipes, get the help you need to succeed. Such a great article MaAnna and so glad you added the testing requirements. It was a pleasure doing this project with you. I have already heard from a dev about our information and the accuracy we provided. Nice to see that, especially since it was a mere 37 minutes after the post hit and I hadn’t yet given a heads up! Woot!!!!! And thank you for all of your immense help with these tests too, Marilyn. Thrilled the devs are already picking up on it. So glad to see that WP Recipe plugin performed the best. I’ve been using it for a while now and couldn’t be happier. Thanks for all the hard work girls!! Yay!! Glad you don’t have to switch. It’s a fine little plugin. Congrats MaAnna for being the #3 bullet talking point in Amy Lynn Andrews Useletter Issue No. 249!! I was so tickled to see you mentioned. I was pretty tickled to see that too, Marilyn!! Thank you for this post! I have two questions for any of you savvy women who might have time to answer:-) First, Are AdThrive platform (not You Tube) videos ranked differently with these plugins. Second, is there a tutorial on how to move seamlessly from Easy Recipe (my current plugin) to WP Recipe? Thanks in advance!!! Don’t know about the AdThrive videos. See Marilyn’s post for which plugins you can natively migrate from. And perhaps WP Recipe has a tutorial on that. Regarding AdThrive. I have found info about the specific structured data some plugins provide. Keep in mind, though, for this article we DID NOT test other than YouTube. Use this info at your own risk. Thanks for taking time to respond; this is so helpful! Thanks to you and Marilyn for all this hard work!! You’re welcome!! Sure feels good to pick the best thing for more eyeballs, doesn’t it?